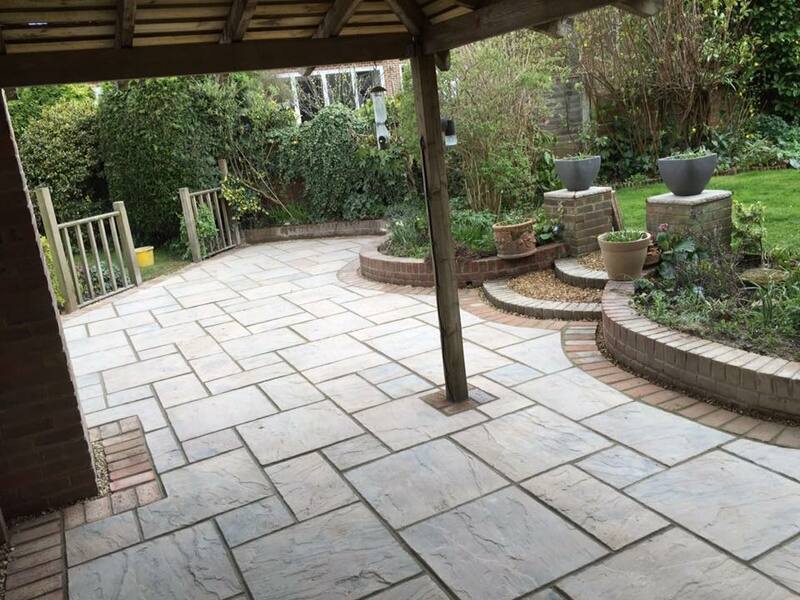 During our initial meeting with this customer, we were certain that they were looking to completely change the look of their back garden. 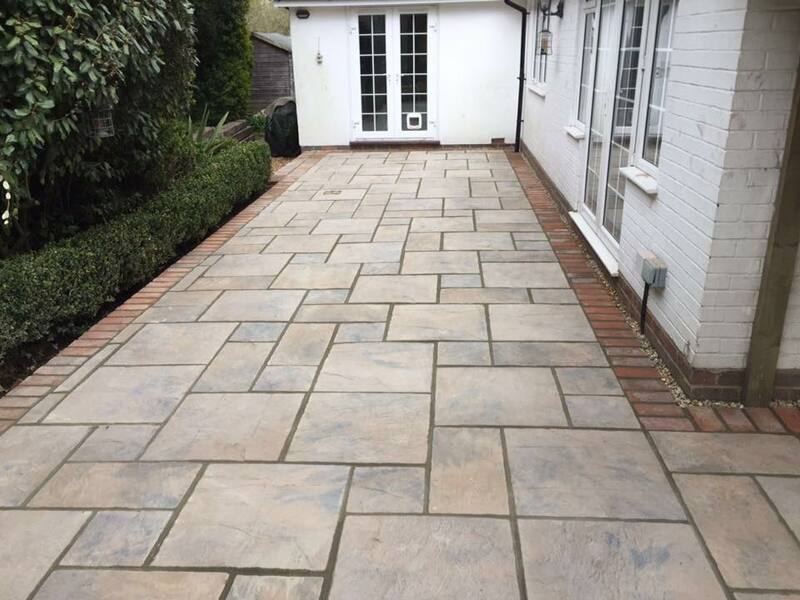 Together with the customer, we decided that in order to keep the garden style similar to the style of the property, we would use Marshalls Heritage Paving in the colour Yorkstone. 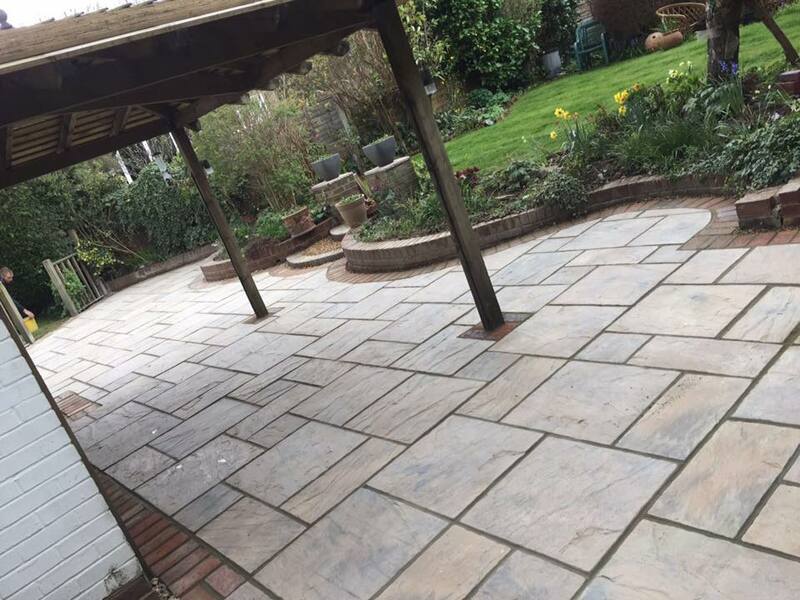 As you can see from the photos of this Chailey Patio installation, the customer had existing flower beds which they wanted to keep so we worked round this by forming a brick edging to highlight these areas. 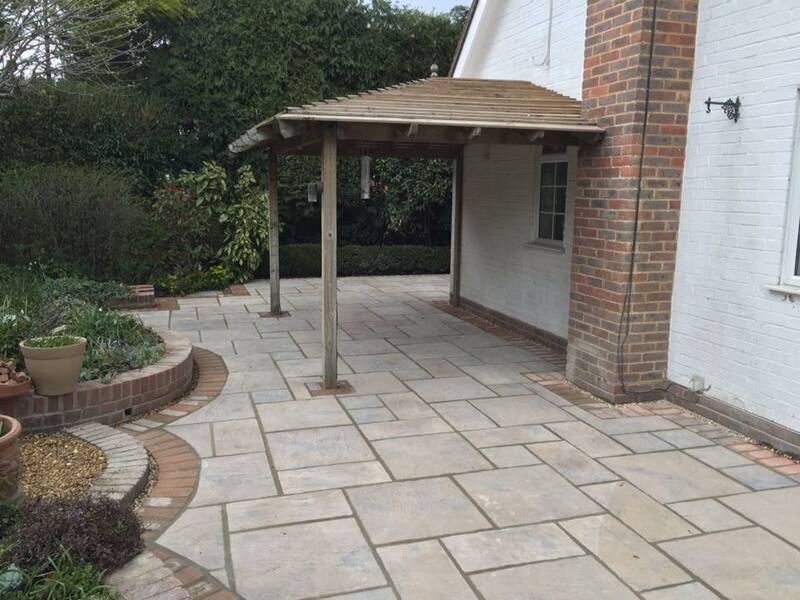 We then excavated the existing paving, then laid a concrete sub base in preparation for the slabs to be laid. 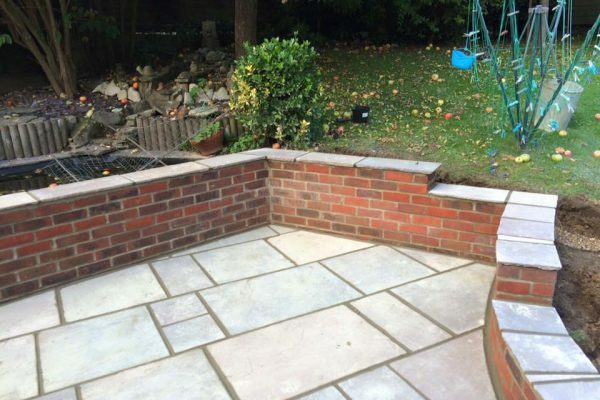 We then laid a layer of sharp sand which was compacted using a vibrating plate. 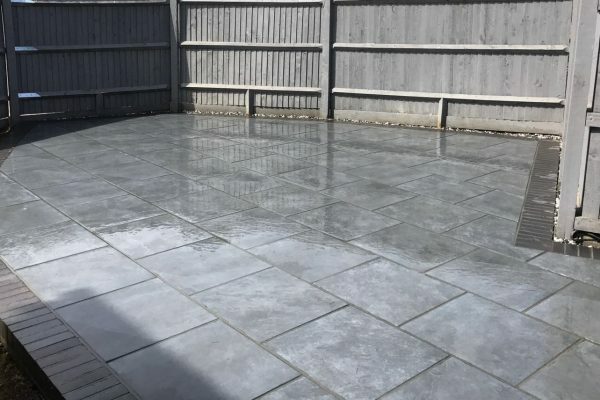 The slabs were then laid in a random pattern which was chosen by the customer, throughout the laying process we ensure that we use a level to make sure that the slabs are at the correct level at all time. 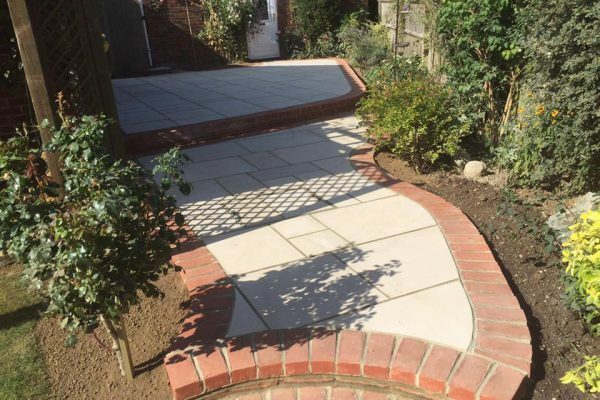 The bricks we used for the edging were West Hoathly Bricks, these bricks were also used around the perimeter of the patio to give the edging a defined look around the property. 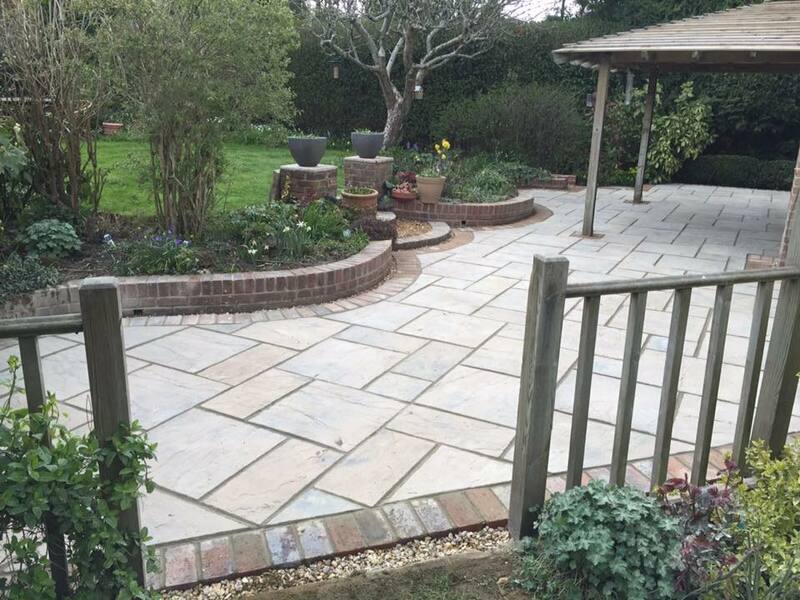 This Chailey Patio installation job in particular is one of our favourites, the style of this patio is a traditional look that beautifully compliments this garden and property.